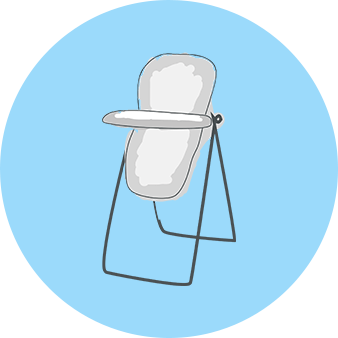 This folding highchair is made with wood from a sustainable source and has a beautiful satin finish. Suitable from 6 months up to approximately 10 years this chair will last as a functional piece of furniture well beyond a normal plastic highchair, as it converts into a junior chair. The Multi-Height Wooden Highchair includes a detachable tray, full safety harness, adjustable seat and footrest, and is extremely adjustable. For younger children, it is recommended you use a high chair insert cushion for extra support.